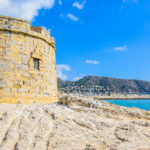 Here are the TOP 10 places of Nerja. Play your trip in minimum time! Do you long for as well a relaxing holiday as an active holiday? Nerja is the ideal holiday destination for you! We’re glad to meet you here! If you’re on this page, it means that you’re interested in Nerja. You’re in the right place to discover Nerja. We’re here to help you. 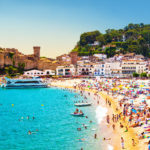 Therefore, we’ve selected for you the best things to do in Nerja and put them in a TOP 10 for you. Explorer Nerja and her area and stay with your family or friends in a villa or holiday home with private pool! You can do whatever and whenever you want! Start to organize your holiday by taking a look at the TOP 10 of Nerja. Prepare yourself for a unique beauty! The famous Balcony of Europe is a highlight you must have seen when you visit Nerja. It has the best panoramic view of the Costa del Sol. When you’re in the center of Nerja, you walk along the promenade with on both sides palm trees. At the end of this promenade you’ll find the beautiful Balcony of Europe. Now, you’re only a few meters from the edge, where you’ll have a magnificent view over the Mediterranean Sea. You’ll probably can imagine that the Balcony of Europe attracts many visitors each year to Nerja. One things for sure. The Balcony of Europe has become visitor’s favorite attraction. The views over the sea, the mountains and nearby creeks are breathtaking. At each side of the Balcony of Europe you’ll see an old cannon, which date back to the time of the ancient defense fort of 1812. And if that ain’t enough, as well you can enjoy the beautiful shining bronze statue of King Alfonso XII. Discover the mysterious village, El Acebuchal, which is causing chills! 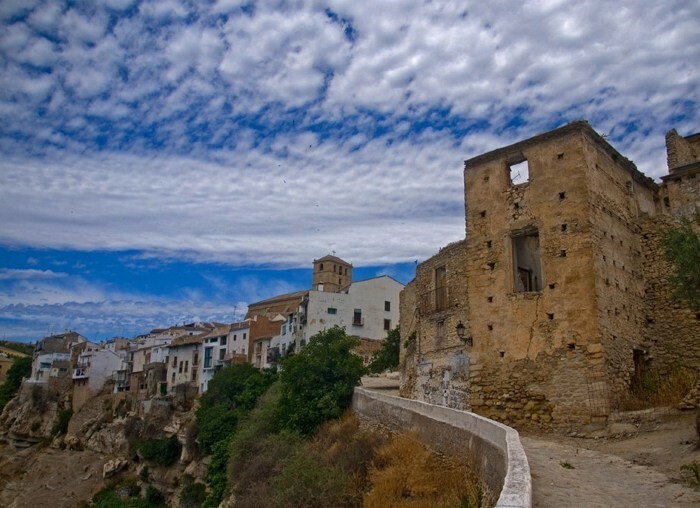 It’s also known as El Pueblo Fantasma (the ghost town). This small village (a collection of small houses) is situated in a quiet valley in the heart of the Natural Park of Sierras Tejada, Alhama and Almijara (50km east of Malaga, 30 minutes by car from Nerja, 15 minutes by car from Frigiliana). It was abandoned for almost 50 years under Franco’s orders, but recently revived and the houses are beautifully restored. There’s a very charming tapas bar where you can take a drink. When you’re in this very quiet village, it will feel like you’re lost in time. But, thanks to its location, it’s a very popular place and it’s very interesting for hikers. 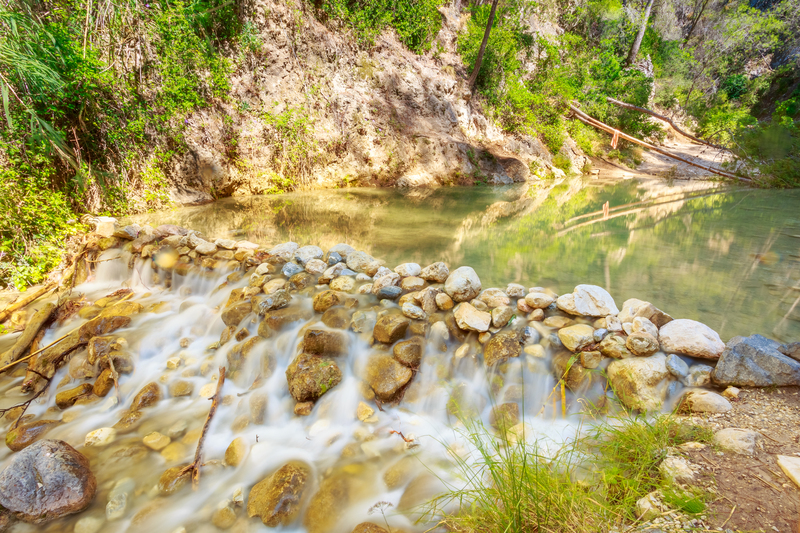 The area of the waterfall of Rio Chillar is perfect for hikers and nature lovers. Stroll through the beautiful nature around Rio Chillar. There are itineriaries and excursions for hikers to make the trip even more interesting. Unlike most rivers of the Andalusian coast, the river Rio Chillar has a relatively constant rate of water throughout the year, even during drought. Do you like to have a pleasant day in nature with your family or friends? El Pinarillo is very popular among hikers, but it’s not less interesting if you’re a short distance walker. 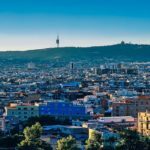 In addition to the hiking tracks, you’ll find inside the Natural Park of Sierras de Tejeda, Alhama and Almijara relaxation and lots of fun in the beautiful picnic area with a barbecue. And, of course, for the kids there’s a playground. You can’t get bored, because there’s enough to do and the view is really impressive. The flora and fauna are wonderful, with masses of butterflies (especially in spring), mountain goats, lizards, snakes, wild orchids and other varieties of colorfol flowers. Within 5km you’ll find the caves of Nerja, where you’ll read about later on in this TOP 10. The most popular monument of Nerja you absolutely can’t miss. El Aguila del Acueducto is a historic and architectural highlight, also known as El Puente del Aguila (Eagle Bridge) and is in use since the 19th century. It started to provide water to a sugar mill in a nearby village, named Maro. Nowadays the aqueduct is still in use! It’s in use by the local community to irrigate their farmland. The aqueduct consists out of 4 floors of brick arcades with 38 arches. The facade is decorated with horseshoe arches in the Mudejar style. On top, in the middle, there’s a weather vane with an eagle. Enjoy taking pictures, because the landscape and the monument are really unique and impressive. The caves of Nerja are magnificent and discovered in 1959 by local people. 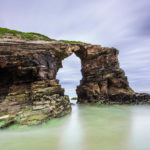 There are proves that this is one of the last places in Europe, where Neanderthals lived. Nowadays, it’s one of the most beautiful caves of Europe. The part you can visit is 700m long and has a surface of 150.000m2. There are other larger parts, but because the accessibility is difficulty it’s closed for the public. There are paths going up and down, alternating with stairs, which will take you to 8 different cave rooms. 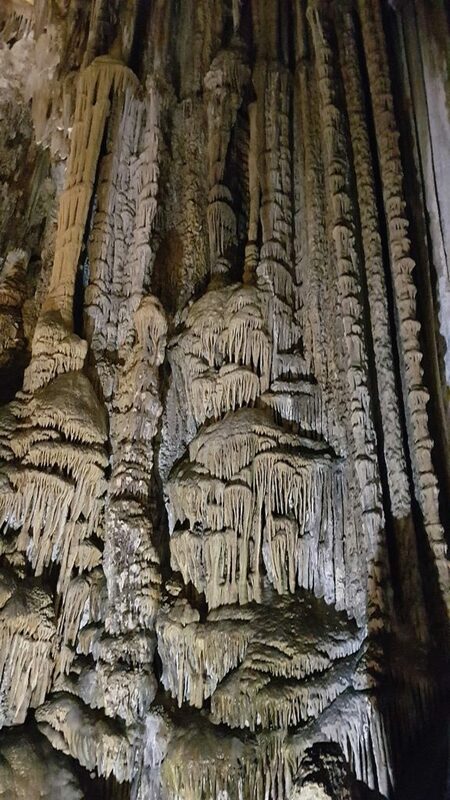 On your way you’ll see impressive stalagmites and stalactites. The Cataclysm room has the largest column in the world, including the Guinness, it’s 49m high and it has a diameter of 18m. If you’re able to visit Las Cuevas de Nerja in July, you can enjoy the famous Festival of Music and Dance. This is a yearly event in the Sala del Ballet. You’ll have the opportunity to see even international artists! Hereby, we present to you a small description of a well worth route, which you’ll definitely like. It’s a pleasant stroll of aprox. 4km from Nerja to a small village nearby, named Maro. On your way you’ll encounter the rural community El Capistrano. 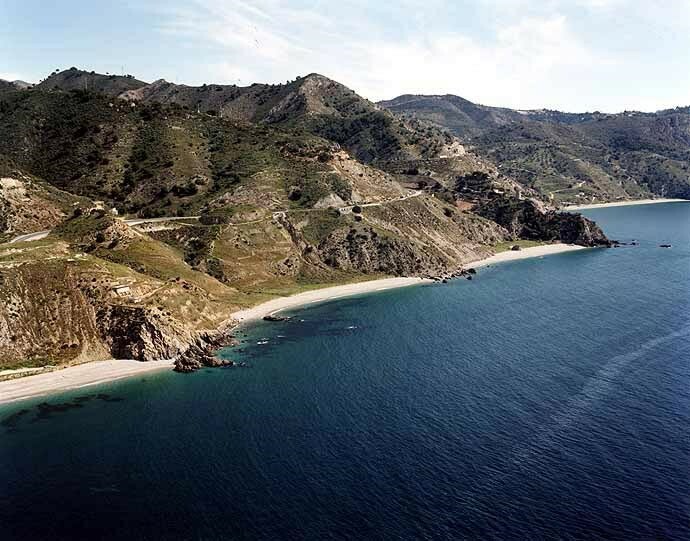 At Capistrano Playa, you can enjoy a magnificent view over the sea and you’ll see Nerja with her beautiful mountains. Different types of roads will lead you to the old suger mill, La Antigua Azucarera San Joaquin. During the descent, you’ll go through a wonderful and breathtaking valley with grazing sheep. The bridge Puente Viejo del Maro is the one that takes you to Maro. 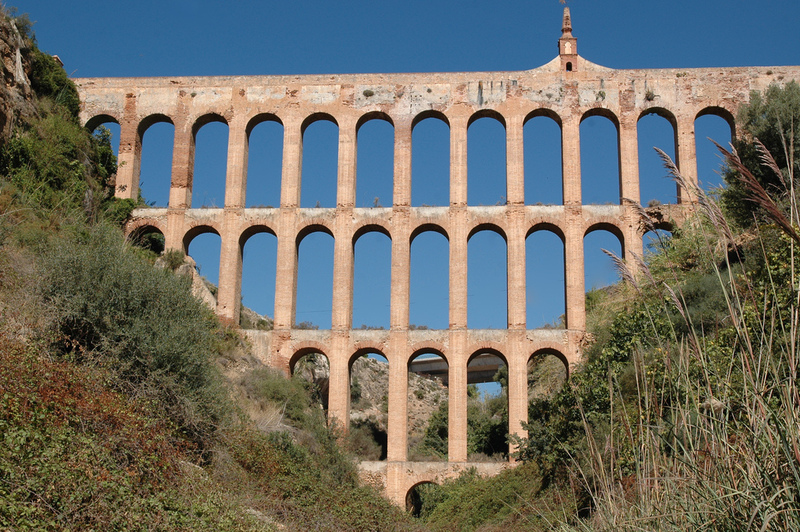 Before you arrive in Maro, you can admire the aqueduct El Aguila del Aqueducto, which was built in 1880. Before your return to Nerja, you can take a drink in the bar, where you’ll be welcomed very politely. Are you too exhausted to walk back? If you’re lucky, you can take the bus back to Nerja instead. We recommend you to spend some time in the park, either in the morning or late in the afternoon. Parque Verano Azul is situated in the western part of Nerja and it deserves your presents for a nice walk. Also, you’ll find some very interesting objects. 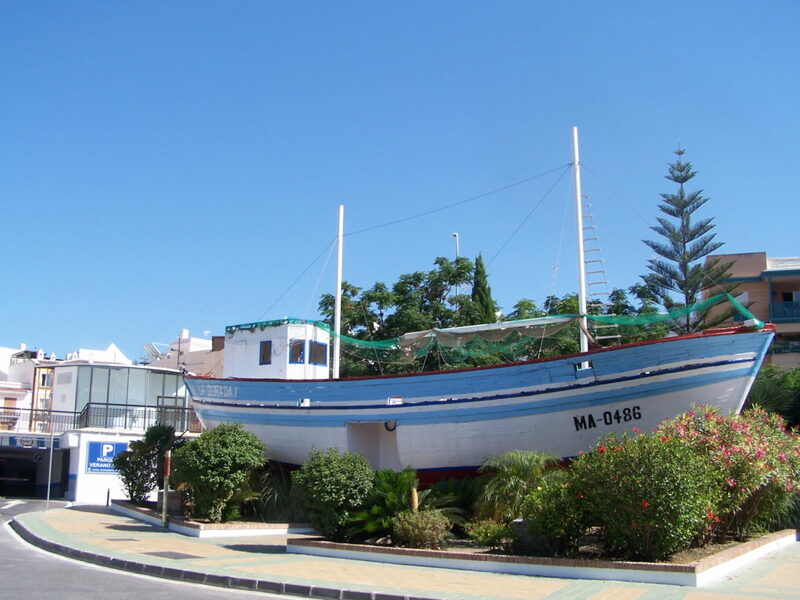 For example, a replica of the famous boat La Dorada, which appeared in the 80’s in a Spanish tv-serie. It was very popular and called Verano Azul. Also, you’ll find a beautiful stone statue offered by all Member States of the EU, a beautiful foutain, petanque courts and for nature lovers there’s an abundance of flora. There has been thought about the smaller young ones as well. They’ve got a large playground with many activities and entertainment devices. In addition, the park is often used for concerts and as decor for exhibitions and festivities. 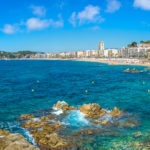 It’s obvious that you can’t miss this beach! If you want to go to the beach, you’ve got plenty of choice. We especially recommend the Burriana beach. 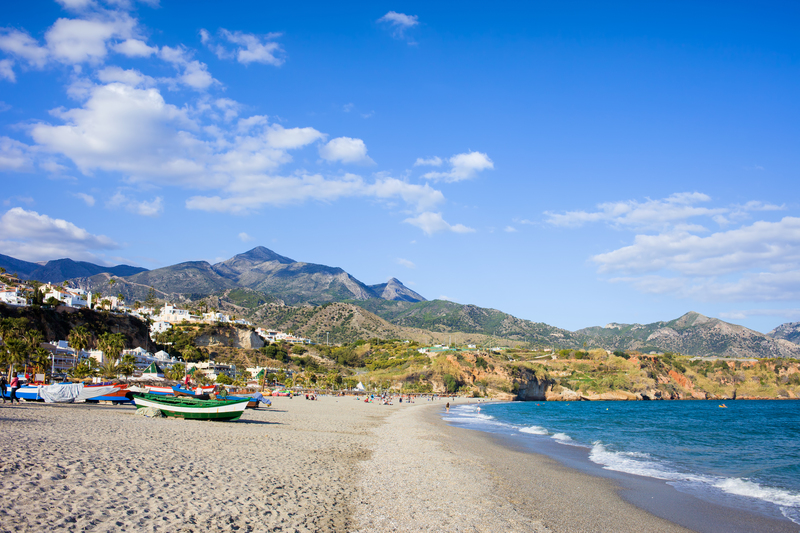 It’s a large sandy beach (800m long) and located at the end of the eastern part of Nerja. 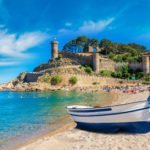 This wonderful beach is awarded with the Blue Flag and has the Q for Quality Tourism. The modern area of the beach can almost be considered as an independent village with its own facilities. On the beach you can rent paddle boats and sunbeds. There are showers to take of the salty water, playgrounds for kids and nets to play volleybal! You’ll enjoy yourself for sure! Along the beach is the promenade, which has beautiful palm trees on each side, delicious restaurants and picnic areas. 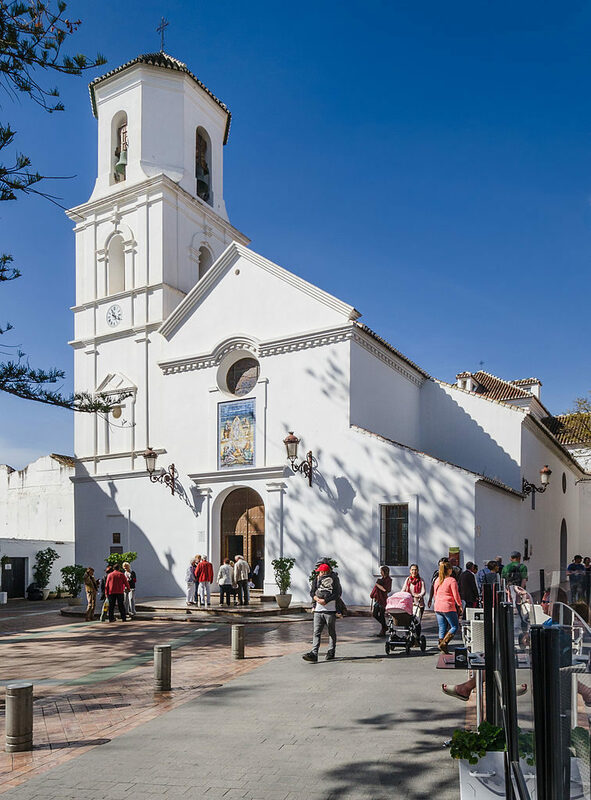 Discover a very interesting part of the heritage of Nerja with the church La Iglesia el Salvador. The church is located in front of the Balcony of Europe and around what was once the watchtower. The church was erected in 1505, but the current structure was built in 1697. This impressive church has a mixture of styles. The facade exists out of 2 pillars and a Baroque arch. The ceiling is defined by a Mudejar style. And in the church El Salvador, which was restored in 1997, you’ll find a bronze statue of Christ. The church has been growing in popularity among couples, to have their wedding ceremony here or a blessing. That ain’t a surprise, when you’ve experienced the beauty of the El Salvador church. You dream holiday starts now! Nerja got something for everyone. 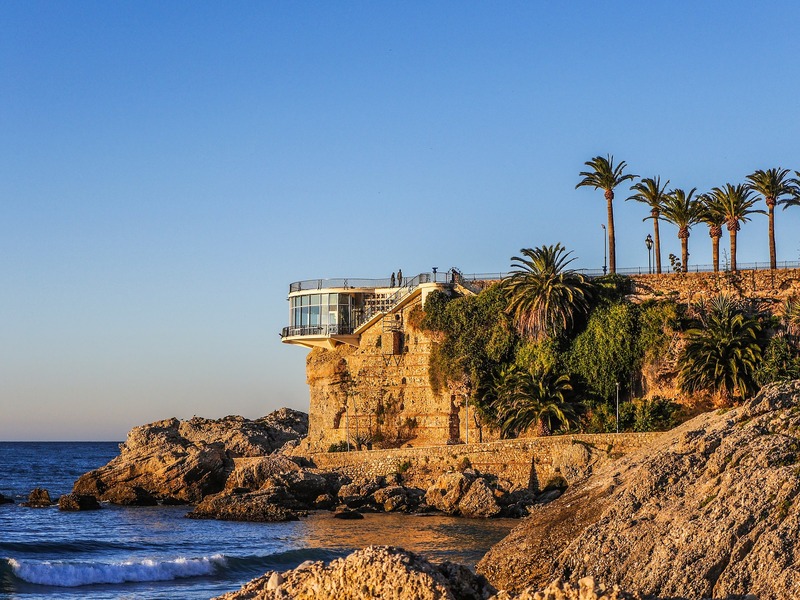 The beautiful coastline of Nerja consists of beaches, bays and cliffs. But it has more. Magnificent examples of traditional architecture are inviting you for a beautiful walk and will lead you to the smallest pieces of paradise. 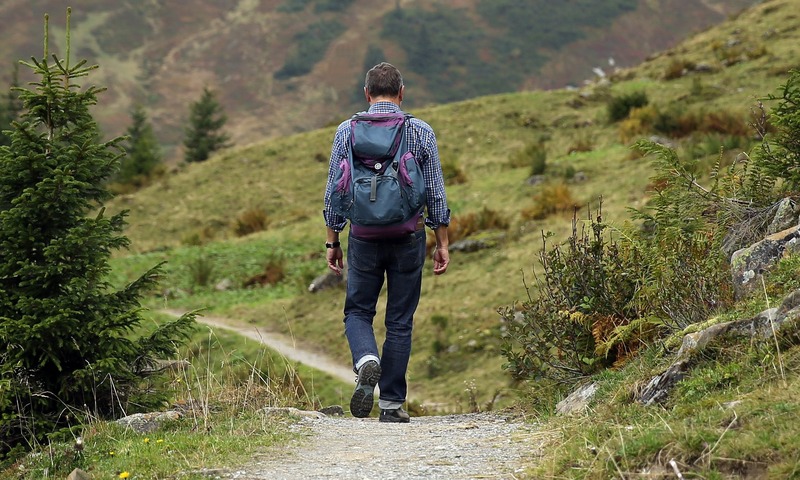 What’s the most wonderful way to explorer a new place and go your own way? By renting a villa or holiday home! Like this, you won’t have any accountability and you can plan your holiday at your leisure!